Play ClassiCube, our sandbox block game inspired by Minecraft Classic, today for free! Just click one of the buttons below to start playing! Latest stable version was released Mon Feb 25 at 9:15:50. You can help us out! Our Github project contains the complete client source code, as well as some issues you can go through and try to fix. Here are some recent commits from the client github project! As you all probably know already, ClassiCube.net and all related services had a downtime lasting 34 hours. Here is a brief explanation of the process of how the site was saved and brought back to life. It started with expected maintenance on the host systems. No downtime was expected. This maintenance, although, caused a safety check to be run on every running system. If a system had a valid source image, it was fine, if it did not, it would be not be allowed to boot in an unfixable way. We, unfortunately, did not have a source image. And thus was the start of the inevitable downtime. We were not the only ones affected by this, yet we were lucky to be the first of the few to get assistance from the host. We did have a backup of the full database, but none of the skins or client builds were backed up. The host, not knowing how to fix the problem, began looking through every Virtual Disk on the system to find our files. The virtual disk was manually edited to be able to be mounted to a new virtual machine. Thus begins the process of reinstalling everything to a new virtual machine and copying over the files. ClassiCube is in a working state now and we hope to never go through that again. We are currently at ~98% functionality, and there may be a few very short website outages here and there until all the kinks are ironed out. We are sorry for any inconveniences this downtime may have caused you. Our server host is running some maintenance on the hard drive array we're hosted on, and has alerted us that there could be possible downtime during the process. If all goes according to plan, there should be no downtime. Just be aware that if there IS downtime, it's nothing to worry about. Hello everybody! I hope you are doing well. Welcome back to the front page. After linking our Discord in the last post, we've gotten a large amount of new users visiting us. Thank you for stopping by! Get exclusive first looks at new things we're working on, share baking tips, or post ebic screenshots today! We're getting dangerously close to 15 Patrons, having hit 11 just since my last blog post. For those who don't know, at 15 Patrons we are guaranteed to fight for a Steam release. Pretty much the only major roadblock is assets, as we're not allowed to use Mojang's assets to advertise ClassiCube. We're working on creating fresh textures for everything that will be included with the game out of the box. Sounds and music, while not a huge priority, are also needed. 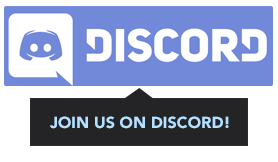 Share royalty-free sounds on our Discord, and they may get included! As always, become a Patron! You get access to a super secret channel on Discord where super secret things get shared, and maybe I'll start posting previews on Patreon directly! Somebody asked on the Discord how many active accounts we had, since we always mention that we have over 42k accounts. After looking into it, we've got about 1,450 accounts that were active in the last 30 days, with only about 200 of them being alts of other accounts. Meaning, we have just over 1,200 unique and active user accounts (in the last 30 days). Neat! That's all for today, keep on REEing for justice!